• using your mouse cursor, click on the top right portion of the magazine to turn the page forward (or top left for backwards). • double click to zoom in on a page, click and drag your mouse to move around on the page. • double click to zoom out to navigate to other pages (or use the controls on the left/right side of the page). 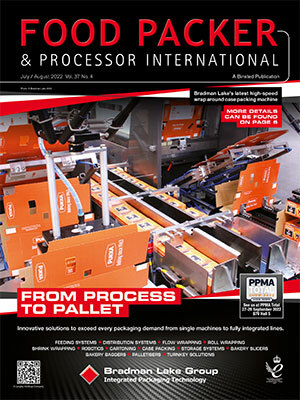 Want a reminder when the next issue of Food Packer & Processor International is available? Register now or send to a friend.